Co-founder & Executive Director of World Savvy on the transformative power of global education. Sixty-five percent of today’s grade-school students will hold jobs that don’t exist today. How should that influence the way we're preparing the workforce of the future? There’s a lot we do know about what the U.S. – and the world – will be like in 20 or 30 years. Guided by compelling demographic and social trends, Dana shares a road map for how we can begin to prepare for the changing roles that will be shaping our world decades in the future. 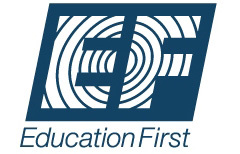 ② Education for a Changing World: Are Our Schools Keeping Pace? As our world becomes more interconnected, changing demographics make communities across the U.S. more diverse and the future workplace demands a completely different set of skills to succeed in a global economy, schools must change how they educate young, digital learners. The immediacy of global issues such as climate change, food security, and global health crises make global learning essential preparation for a changing world. All students should have the opportunity to develop skills essential for future success, including: an appreciation for cultural differences, critical and comparative thinking skills, comfort with ambiguity, and an understanding of globally significant issues. Take a look with Dana into how some schools are doing this well. Many districts and schools across the country have included the importance of building 21st Century learners in their strategic plans. What does that really mean? As our world becomes more interconnected and regional issues – from health crises to food security – become global, we need to ensure our students graduate with the ability to understand and act on significant issues with worldwide implications. During this session, Dana provides a deep dive into the global competence matrix, a tool developed by World Savvy, Teachers College, Columbia University, and Asia Society, to help educators teach 21st century learners. ④ Is Empathy A Part of Your School’s Curriculum and Culture? If it’s not, it should be. As U.S. demographics change rapidly and the world becomes increasingly interconnected, the single thing we could do to revolutionize our educational system is ensure students graduate with an appreciation for cultural differences, strong critical and comparative thinking skills, and an understanding of globally significant issues. Dana shares how she and her team have spent the past 13 years providing teachers and schools with resources to do just that. Since 2002, Dana Mortenson has worked with teachers and schools to help teens understand global and community issues, then translate that understanding into action. World Savvy uses a model called Knowledge to Action as a way of helping students apply what they learn to affect change in their community. During this session, Dana will share the Knowledge to Action model and how she and her team have engaged more than 375,000 students as social entrepreneurs and changemakers. Kids want to have positive impact on the world. How can families, schools, faith communities, encourage teens to become social entrepreneurs? Since 2002, Dana Mortenson has run an organization that works with students across the country to help them understand global issues, and how they can impact them. To date, Dana and her team have worked with more than 375,000 students. Dana shares some practical ideas for engaging teens in world affairs, and making the connection between global and community issues, and how to impact them. 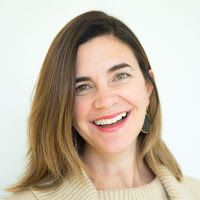 Dana Mortenson is the Co-Founder and CEO of World Savvy, and an award winning social entrepreneur leading a movement to re-imagine K-12 education for a more diverse, interconnected world. World Savvy is a national education nonprofit working to educate and engage youth as responsible global citizens. World Savvy supports change agents in K-12 education to create more inclusive, adaptive schools that ensure all young people can develop the skills and dispositions needed to thrive in a more diverse, interconnected world. Since 2002 Dana has led the organization through significant national expansion, reaching more than 655,000 middle and high school youth and 4,500 educators across 25 states and 5 countries, from offices based in Minneapolis, San Francisco and New York. Watch her discuss the work on PBS NewsHour. Dana is an Ashoka Fellow, was named one of The New Leaders Council’s 40 under 40 Progressive American Leaders, and was winner of the Tides Foundation’s Jane Bagley Lehman Award for Excellence in Public Advocacy. She is a frequent speaker on global education and social entrepreneurship at high profile convenings, including Project Zero's Future of Learning Institute, Harvard University School of Education, 21st Century Schools Consortium, Nebraska Global Education Consortium, ASCD, TABS/NAIS Global Symposium, TEDx Fargo, the Ashoka Future Forum, and SXSWedu. World Savvy’s work has been featured in the The New York Times, Edutopia, EdWeek and a range of local and national media outlets covering education and innovation. Dana is an Advisor and Board member to a range of nonprofits working at the intersection of education, global citizenship and innovation.